Welcome! It's a new month and a new hop with Technique Junkies. And, oh boy, are there some wonderful stamps! Fifteen of them to be exact. You can see all the new releases here. 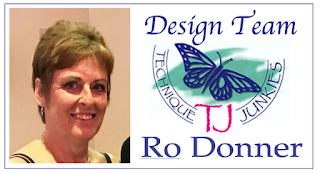 I have several projects to share with you...but before we get started, there's a bit of info you will want to know! All the new releases are on sale until the 8th of the month. No code is needed as the discount will automatically be applied at checkout. Also, spend $30 before taxes and you will receive this free I LIKE TO PARTY stamp!! It will be automatically added to your order. Now let's get on to the fun part! The cards! I have created several cards to share with you, each with their own style and feel. Below are listed all the supplies used to create these cards, with links to all the TJ products! Fun, eh? 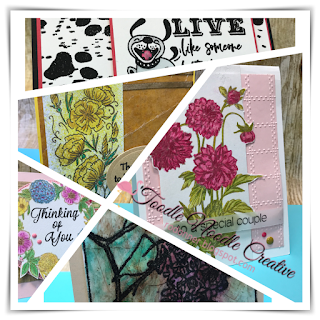 Now here are all the details of the supplies I used to create these cards. I hope you are feeling all kinds of inspired now! 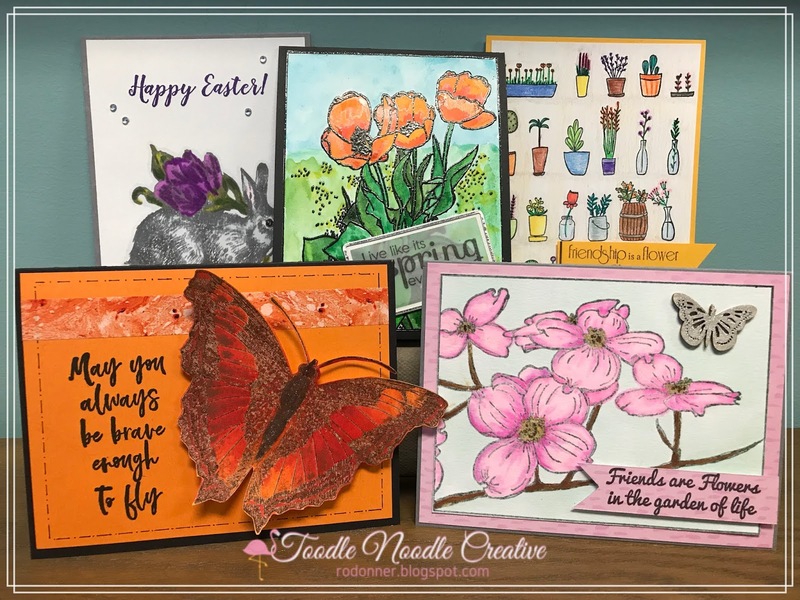 Remember the sale only goes until the 8th, but you can use my discount and receive a free stamp with a $30 order all month long! 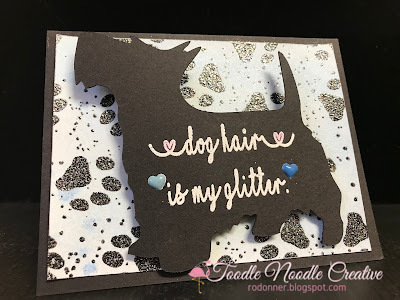 From here, you will want to head over to Stephanie Severin's blog to see what goodies she has to share! The Pretty Pots (S808) stamp set I have been wearing out enjoying all month is so versatile...Background, stamp and cut out, masking, etc. Well, I had a vision of something else. I absolutely adore this set (in case you hadn't already figured that out), so I purchased a second set...intentionally! Why? So I could do a little surgery and cut all the pots apart. Again, why? So I could do THIS! 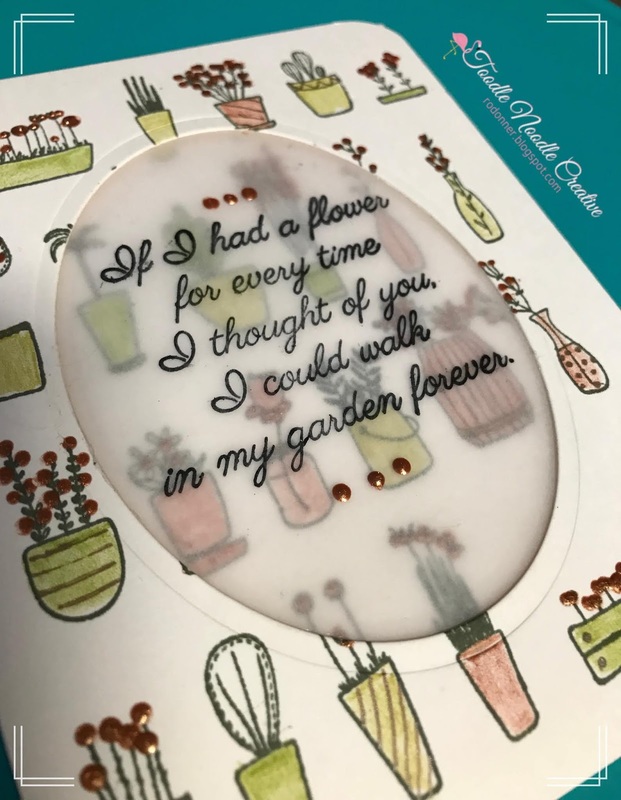 I used my MISTI and homemade wreath template, selected three of the little pots, and stamped them with Memento Ink (Bamboo Leaves). 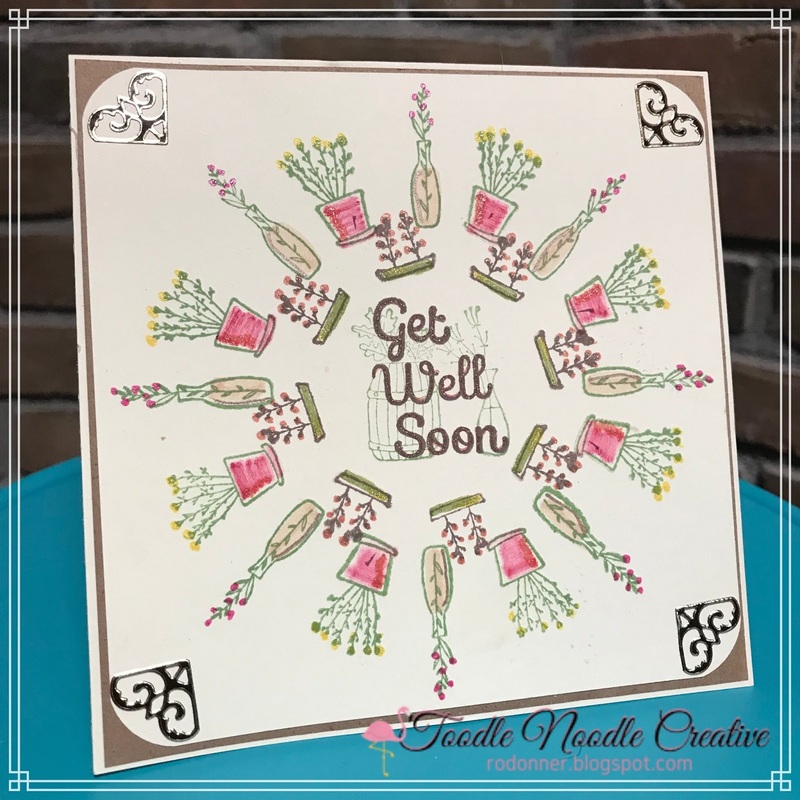 The sentiment, Get Well Soon (SDX126), was stamped with Rich Cocoa. 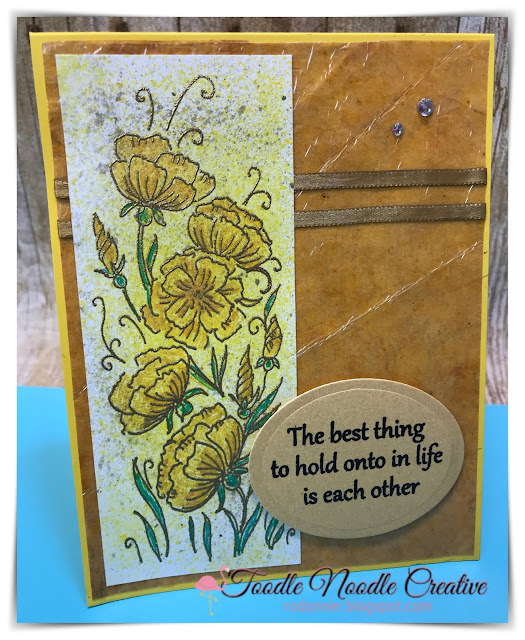 I rounded the corners, added some gold and brown stickers, matted it with brown CS, and attached it to a cream CS base. The pots were colored with Marvy Brush Markers, and the "flowers" were added using Kaisercraft Glitter Gel Pens (I'm loving these pens!!!). So next time you "accidentally" purchase a duplicate, you may want to give it a second look. 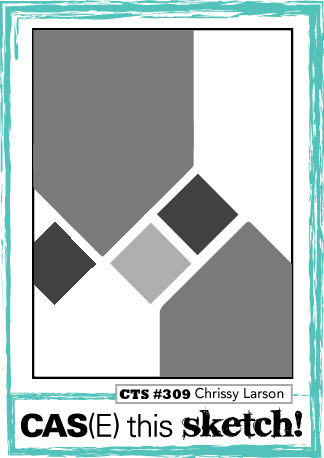 If you like these stamps, or any of the large assortment available at Technique Junkies, you can save 10% by using the code "TJ10Ro" (see badge on the panel to the right). And stay tuned! Only a few more days until a brand new bunch of TJ stamps are released (April 1st -- no foolin'!)! Be sure to join us for our monthly release blog hop! I just can't help myself! 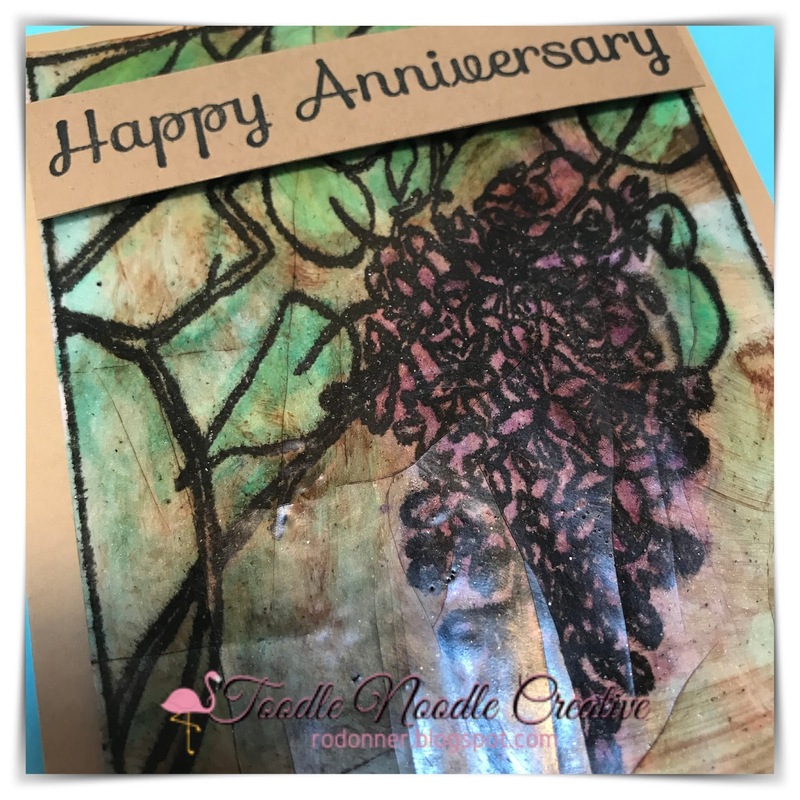 I am absolutely in LOVE with this Technique Junkies stamp! I love it so much, I have two! 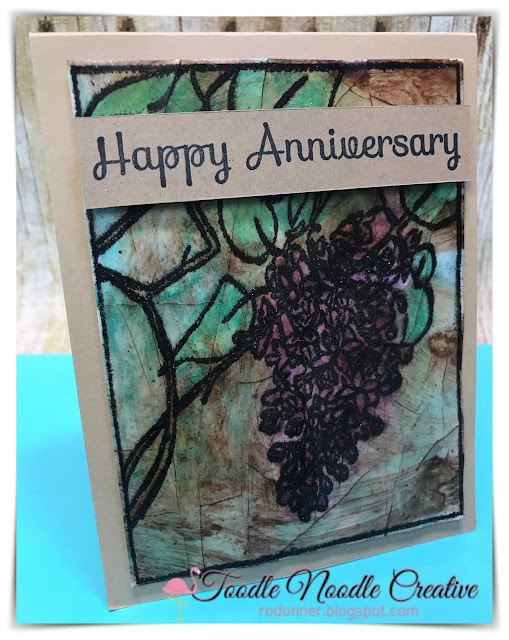 One is the way it came (as a background), the other one I chopped into individual stamps. 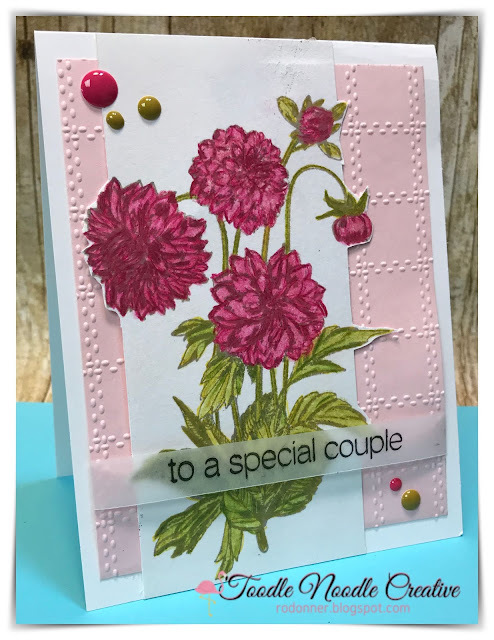 I am having so much fun with these stamps, that I couldn't help but share another card with you! This card uses only a few supplies and was quite easy, but looks like it took a lot of time and planning. Not so. 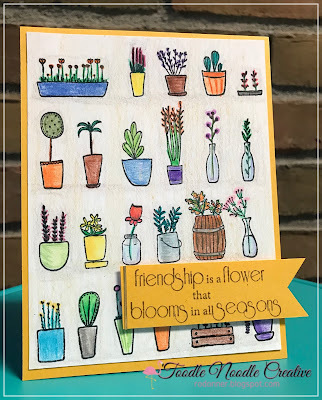 Going back to the stamped panel, I colored in the pots and just a few plants using three Spectrum Noir colored pencils. I don't know their names but they were basically a reddish-brown and two colors of green. After I finished coloring and decorating the pots, I cut an oval out of the center using a die. On my cream A2 card base, I laid the panel minus the cutout on the center. 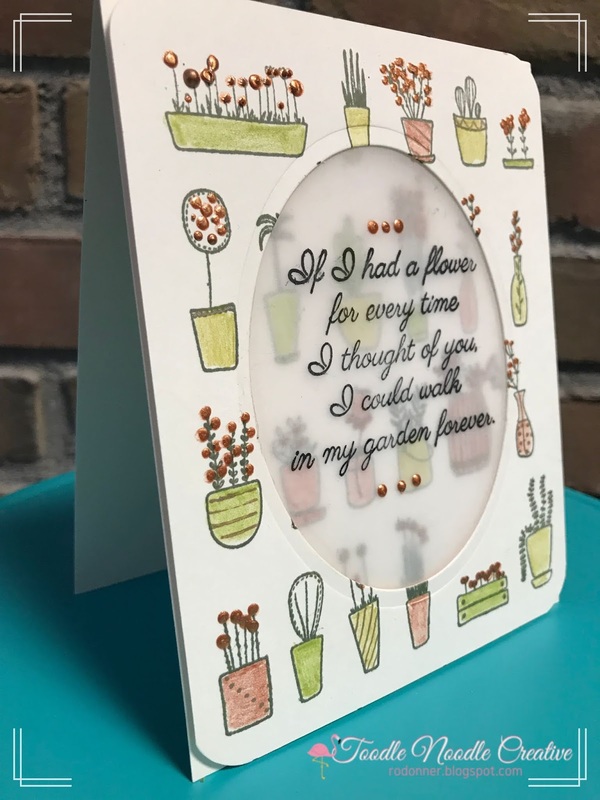 I added adhesive to the oval and centered it in the panel, matching up the pots and flowers, and pressed it onto the base. The vellum panel was attached to the back of the stamped panel. I rounded the corners and then added foam tape to that panel to give the card some dimension. With Nuvo Crystal Drops in Copper Penny, I added flowers to many of the potted plants on both the top panel and the oval piece on the base. I also added a few dots to the vellum panel. Once dry, I attached the raised panel to the card base. And I am loving how it turned out! 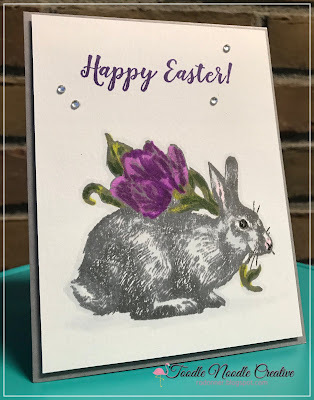 I like the simplicity of using only a few colors on this card, along with the vellum and Crystal Drops. You can bet I'm not done with these stamps yet! 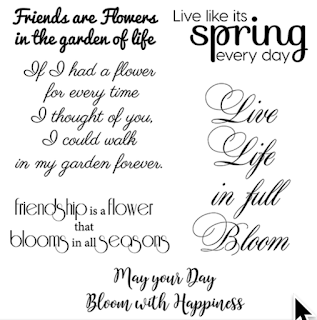 I have a few more ideas floating around in my ready-for-spring head. 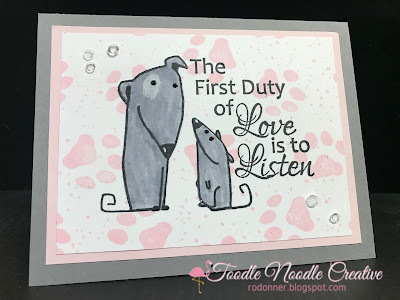 If you are inspired and can't live without these stamps (or any others over at Technique Junkies), you can save 10% on your order by adding the code "TJ10Ro" at checkout (see banner on the right of my blog). 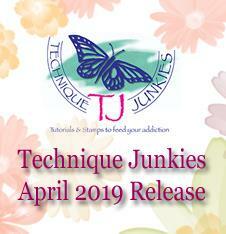 I am pleased to have a new project over at Technique Junkies. You can see the whole post HERE! Check it out for full details and some awesome discounts! 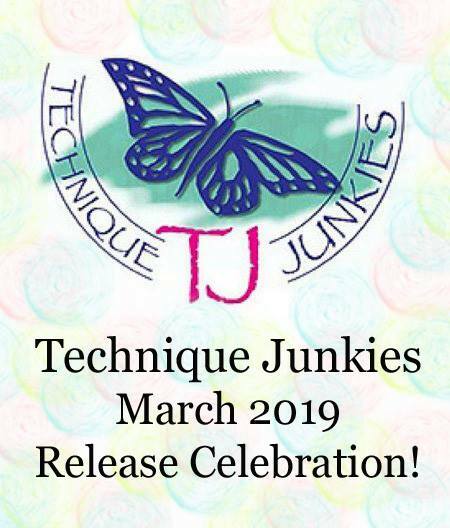 MARCH RELEASE FOR TECHNIQUE JUNKIES! It's March!!! Hopefully we are leaving the dreary winter behind. 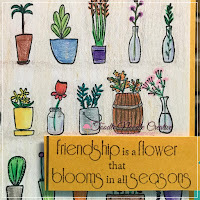 I know I am looking forward to Spring when all of Mother Nature's colors reappear and brighten our world. 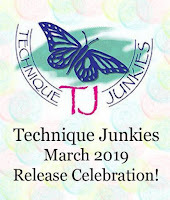 With the new month, comes the new release from Technique Junkies! I hope you are as excited as I am about these new stamps! 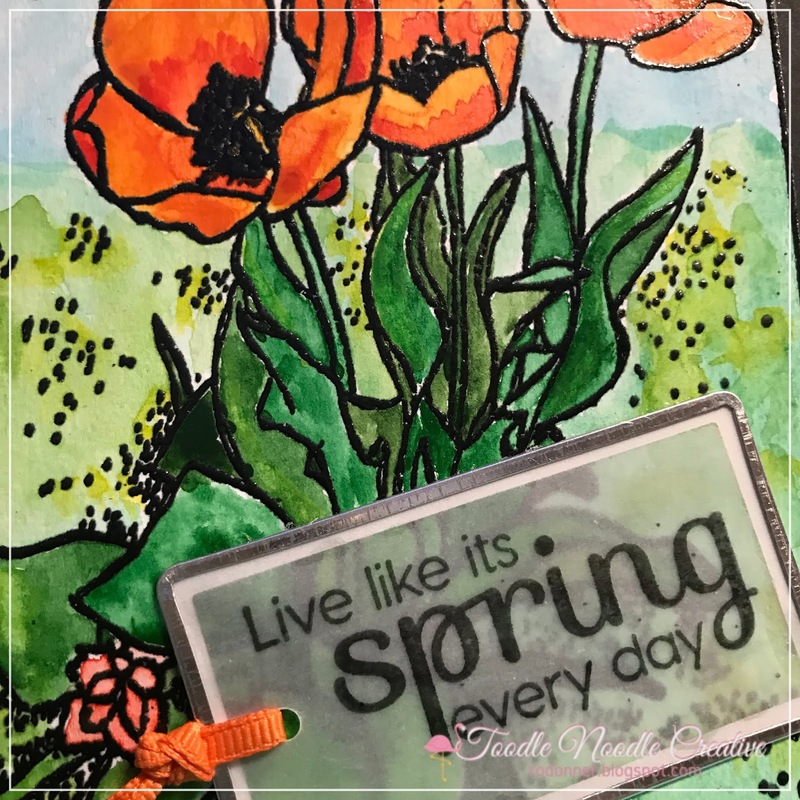 Spring is definitely in the air, as you will see from these colorful projects! If you have arrived from the wildly talented Pat Huntoon, then you are on the right track. 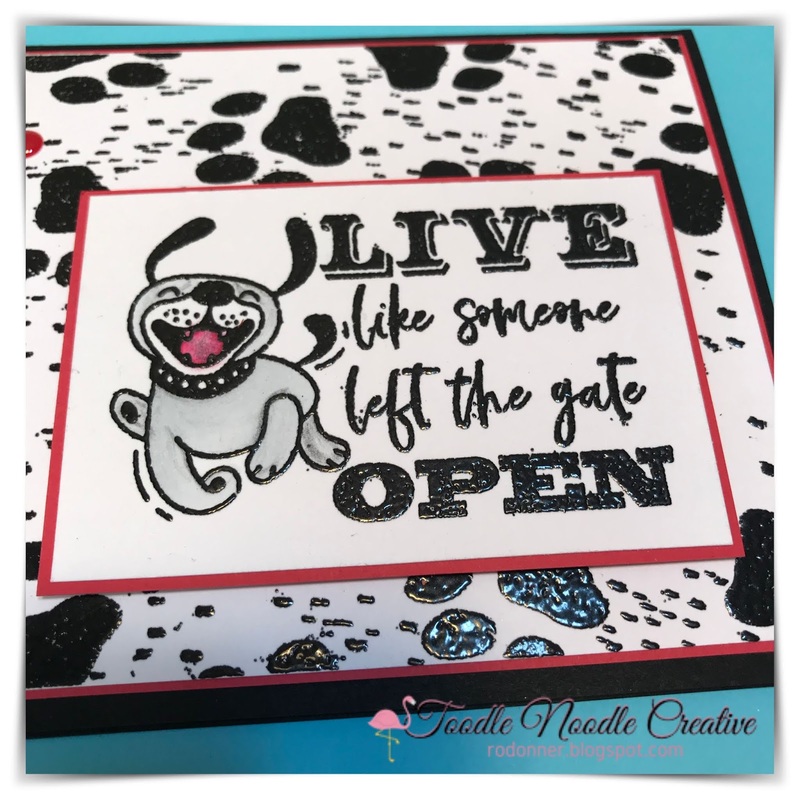 If not, you may want to head to the Technique Junkies Blog and start from the very beginning so you don't miss any of the wonderful projects our Design Team has to share! Here are all the links for your convenience! And if you like discounts, there are a couple great ones to start your month! Receive 15% off new releases until the 8th (automatically calculated at checkout), and 10% off everything else all month long! Not only that, but with every $30 purchase (before taxes/shipping), you will receive a FREE STAMP! 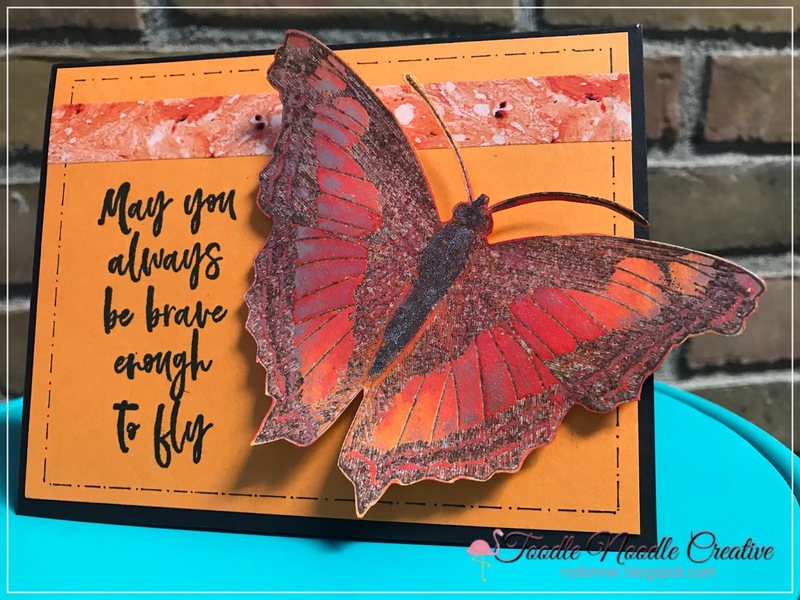 May I present Wildly Capable...it will be automatically included in your purchase, no need to add to your cart. Now that all that business is out of the way, let's get on to the really fun stuff!!! 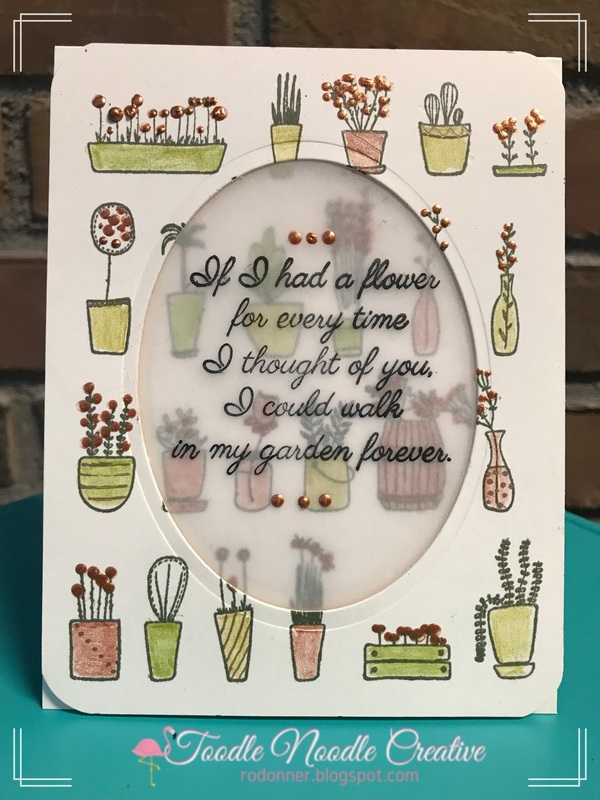 My first project just screams "spring"! I don't know about you, but I adore Dogwoods. 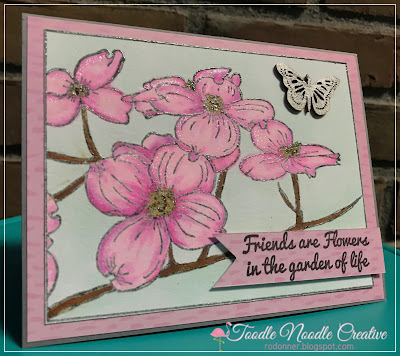 Dogwood is a new design from the Jan Tink Collection. 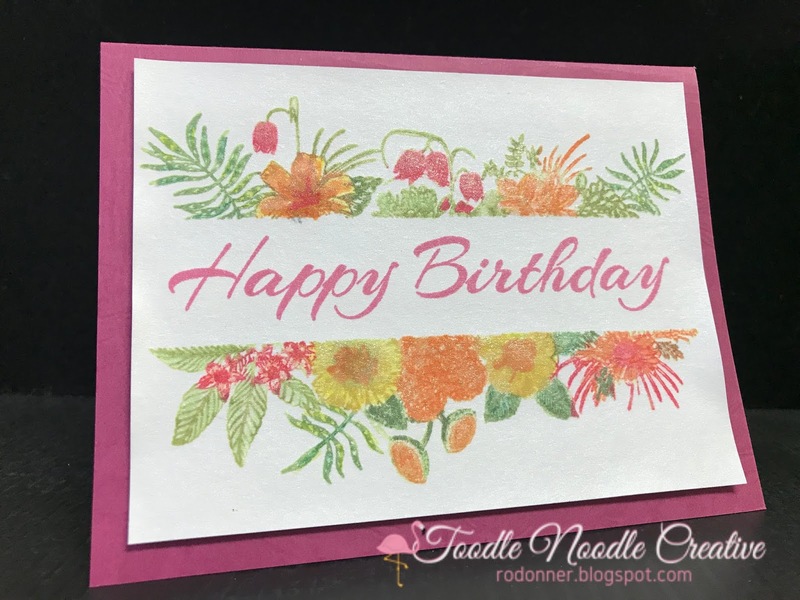 I love the simplicity of the flowers, which were so fun to color. I used Spectrum Noir Markers on this one. 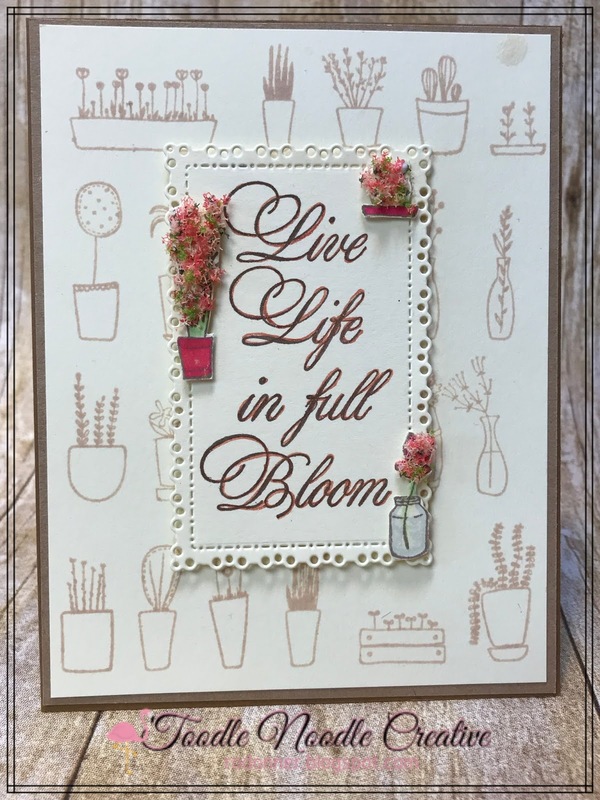 The sentiment from Full Bloom is just one of the six included in this set. They are wonderful sentiments. I have used several in my projects today. Next we have some fabulous Tulips to brighten your day. Another design from Jan Tink, these tulips are so bright and cheerful. Watercoloring these was as delightful as seeing the real things in bloom. 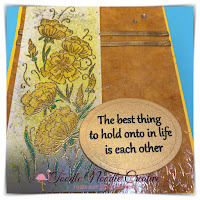 The sentiment was stamped on a vellum tag. I didn't want to cover up too much of these beautiful flowers! I used colored pencils on this card. I truly enjoyed coloring this background, decorating the little pots and adding a fun, colorful twist to the flowers. And see what I mean about the sentiment set? All the stamps included in this set are fabulous! Stepping away from flowers for a moment, but definitely keeping with the Spring theme, I have a little off-the-card design to share. 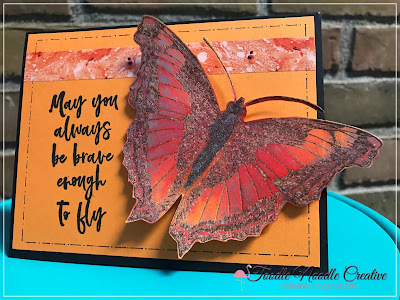 This butterfly just jumps off the card. 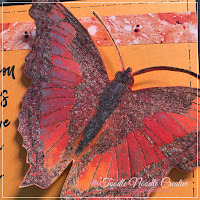 The use of the Shimmering Bliss sprays turned this pretty butterfly into an absolute stunner! I added a little sparkle to the body with a Nuvo Glitter Marker in Iced Americano. The glitter and the shimmer together really pack a punch! And that sentiment...Loving it!!! And last, but certainly not least, I absolutely adore this precious bunny and crocus. 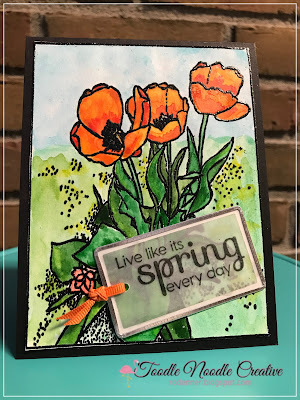 I used Spectrum Noir markers to color this stamp. This bunny is just too precious. I can see using this one for more than just Easter. Some of the sentiments in the set above would go nicely just as well. 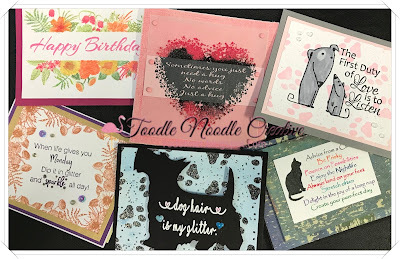 Basic supplies used on these cards includes: MISTI, Cut-Align, Cardstock, Multi-media Paper, Adhesive, Dimensional Tape, Spectrum Noir Markers, Colored Pencils, Kuretake Gansai Tambi Watercolors, Versamark, Memento Ink, Embossing Powder. Special supplies noted in projects. 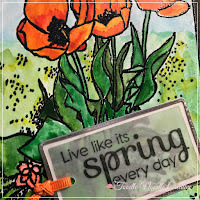 I hope you got a pleasant burst of a good Spring feeling with these projects. 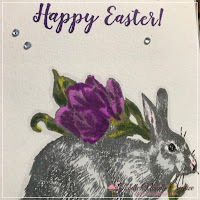 Now, off you go to Stephanie Severin, where you will find some more beautiful cards! I always use sketches whenever I am feeling stuck or in a rut with my card designs. And sometimes, I see a sketch that just looks different and interesting, and makes me want to play along. Such is the case today. I came across this sketch from CAS(E) This Sketch Challenge #309 and decided it would be a fun one to follow. 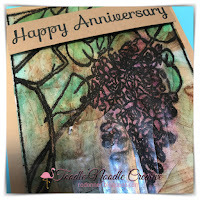 And, of course, I am using my favorite stamps: Technique Junkies! 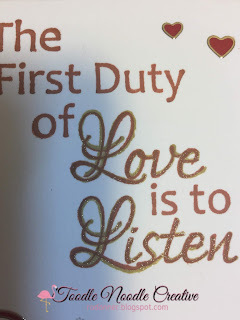 The set I used today is one of the February releases called Duty of Love (#SD903). 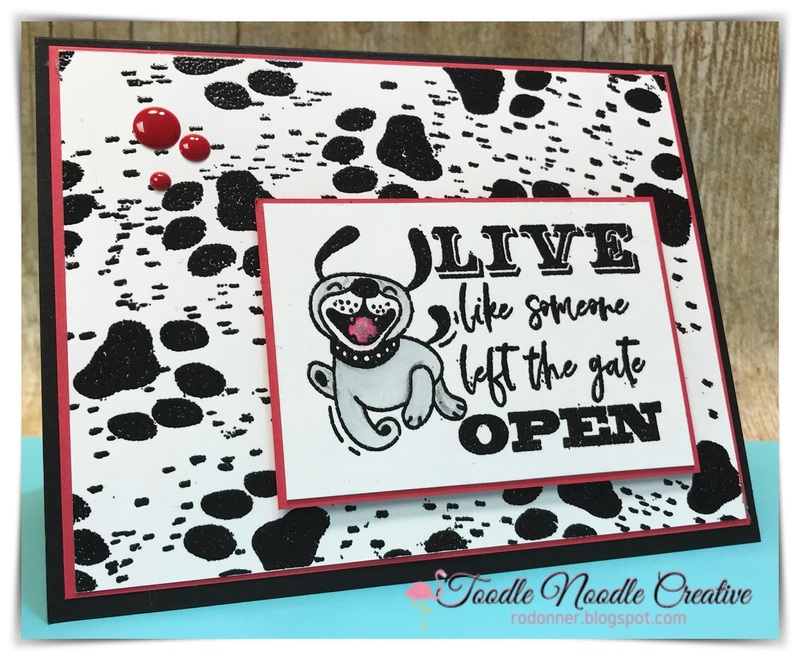 Here is the sketch and the card I created for the challenge. I added a few gold border strips and some heart stickers, along with the adorable stamp set, and some fun papers and washi tape. 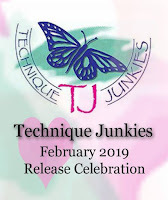 Technique Junkies is releasing 16 great new stamps for the month of February and I can't wait to share what I've created with a few of them! 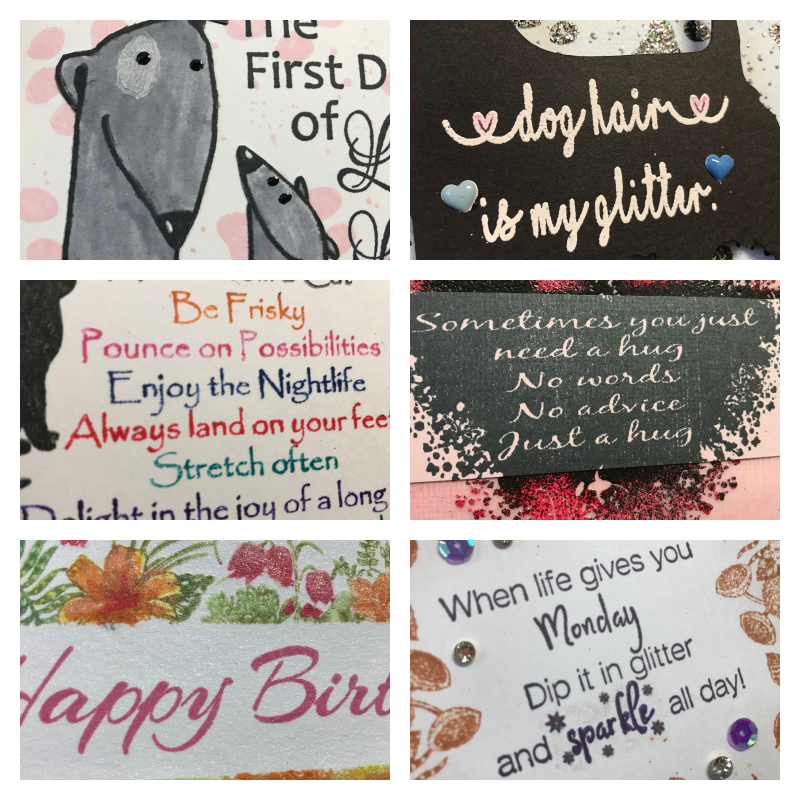 AND...only until February 8th, all the new stamps are 15% off their regular price! No need for a special code, the discount will be taken automatically at checkout. 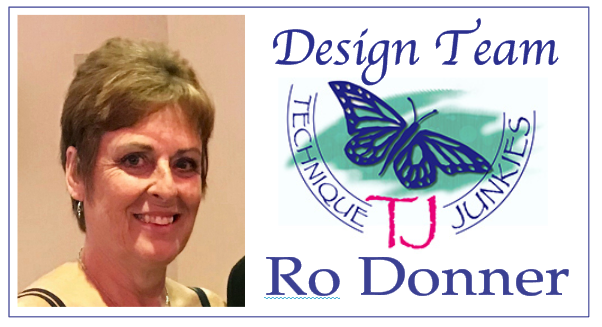 If you would like to receive 10% on all other products, simply enter TJ10Ro at checkout. Now, without further ado, let's get to the hop! So many great stamps, it was hard to decide which one to play with first! And as I worked my way through the stash, it was clear...I couldn't pick a favorite! So in no particular order, here are my projects. I hope you enjoy them! 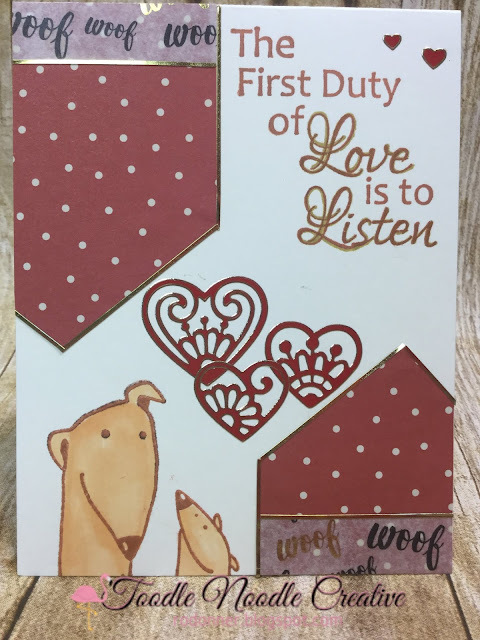 This first card features Paw Prints (S826) for the background and Duty of Love (SD903). These pooches are just too darn cute! Along with the normal supplies (listed below), I used Memento Ink (Tuxedo Black, Angel Pink) and a little bling from Little Things from Lucy's Cards (Ice Cube Mix). 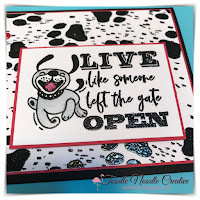 Next up, a different card using the same background stamp, Paw Prints, but with a totally different look! I also used the sentiment stamp, Dog Hair. And, believe me...In a house with four dogs, the "glitter" is everywhere! The adorable Scotty was cut using the Silhouette Cameo. And I added a little action via an Action Wobble. See the clip to watch him dance! 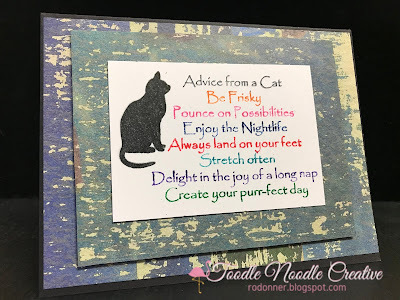 And not to play favorites to the dog-lovers, I also have a great cat card using the stamp, Advice From A Cat (SD933) and some fun background paper I had in my scrap stash! With the amazing help of my MISTI, I was able to add a different color to each line of the stamp, creating a fun, colorful image. I simply colored a line with Tombow Markers and stamped, colored the next line in a different color and stamped, and so on until each line had been stamped in a different color. How fun is that! 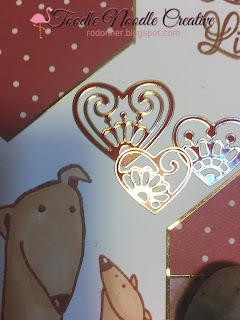 Now, what's Valentine's Day without a little heart? 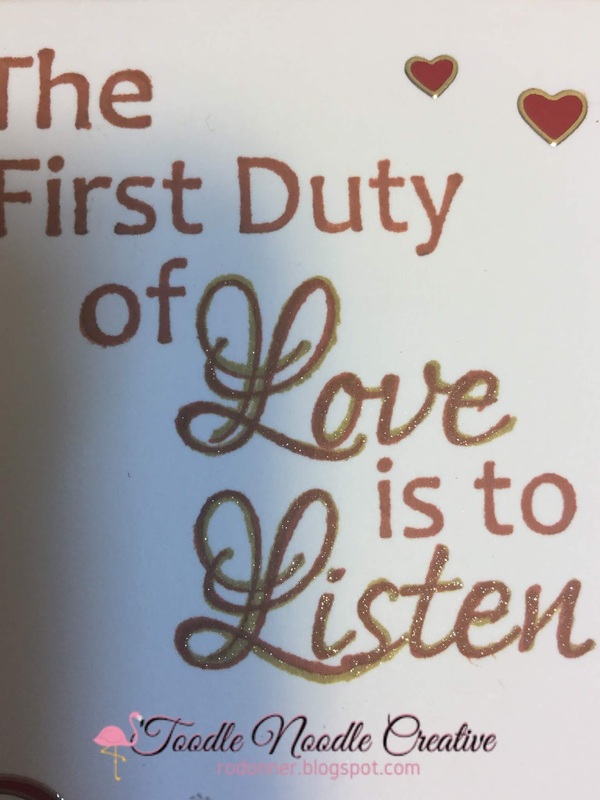 Here is a card that could be used for Valentines or just a friendly card for someone who needs to know you care. 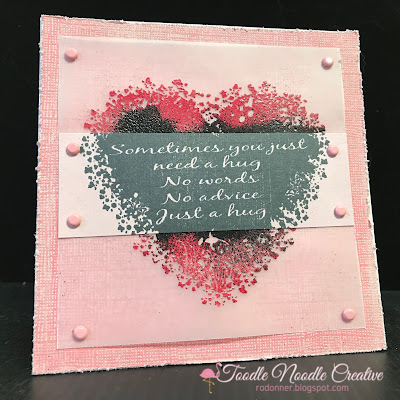 This card features Just A Hug (SD907), and some embossing powder mixing, plus a few brads and a sanded card panel. Lots of texture on this one! 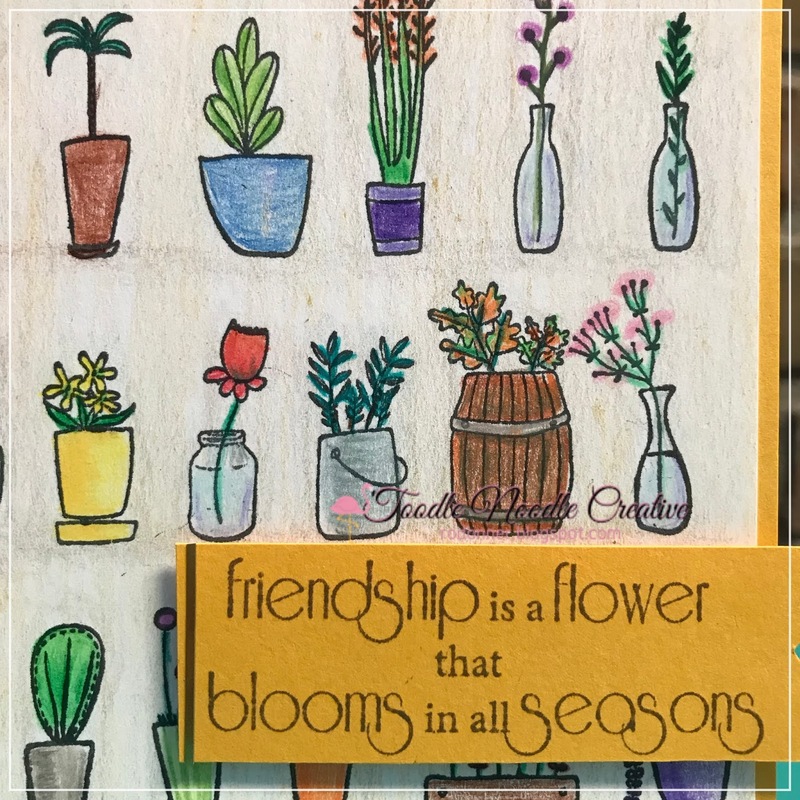 If you are more of a flowers kind of person, the next two are sure to please. I used Floral Framed Sentiments (SS101). 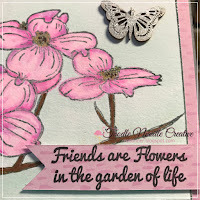 This fun stamp set comes with different sentiments to be stamped between the flower borders. This simple, yet elegant card has a wonderful shimmer which was achieved with Shimmering Bliss Spray (Dazzle). 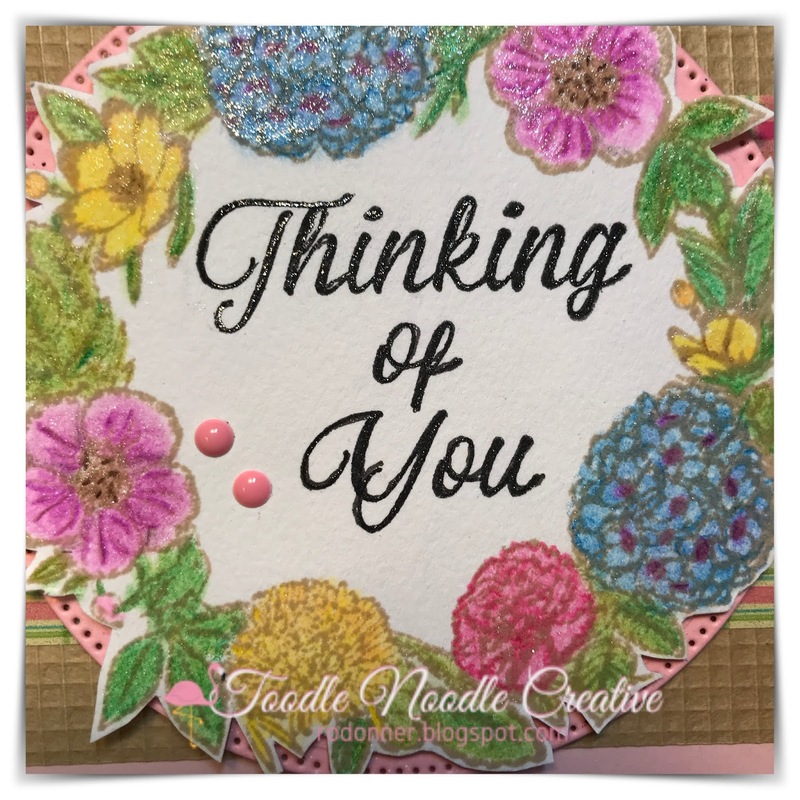 And last, but certainly not least, this card uses the same border stamp, Floral Framed Sentiments, in a totally different way, giving the card a whole new look. 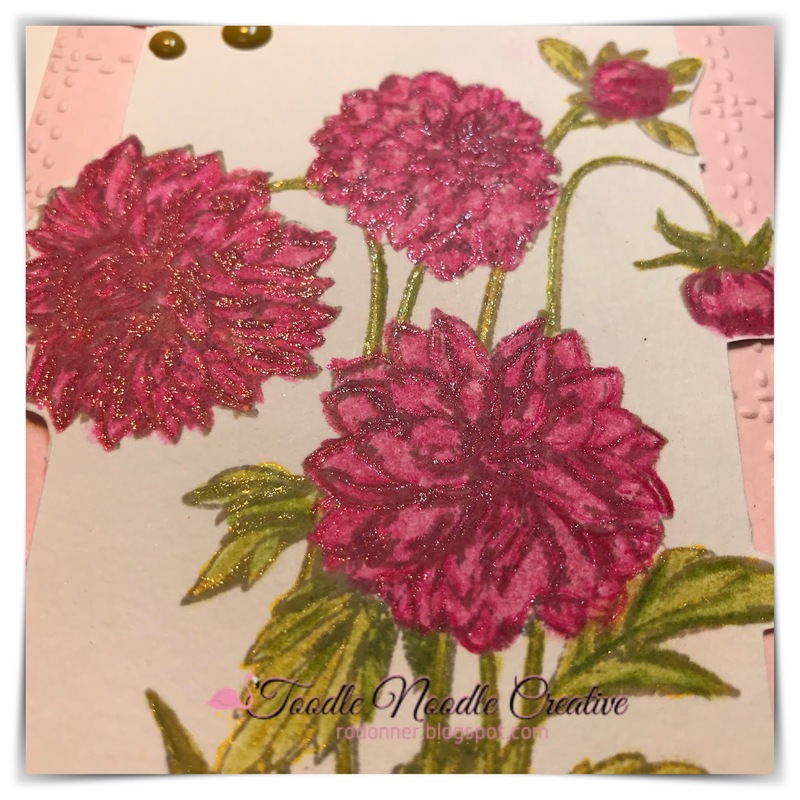 At first glance, you would never suspect that the same floral stamp was used on both cards. 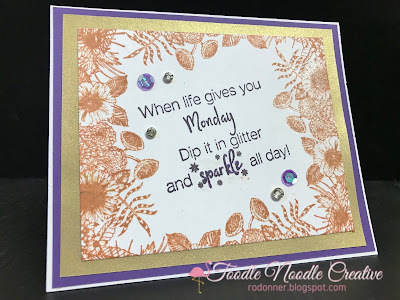 The sentiment used is Sparkle All Day (SS909). 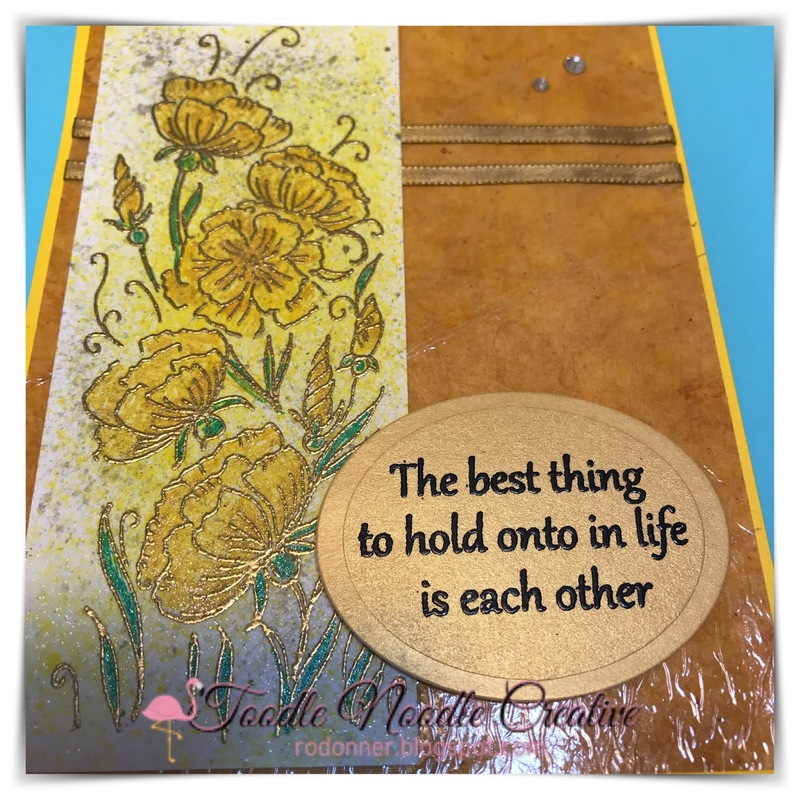 What a great pairing it makes with the floral border! I used Memento Ink in Potters Clay for the flowers and Elderberry for the sentiment. Just a touch of bling was added using Little Things from Lucy's Cards. Other supplies: Each card uses a variety of basic supplies which may include Cardstock; 2-sided tape and/or foam tape; Glue; Vellum; Memento Ink; Versamark Ink; MISTI; Embossing Powder; Heat Tool; Tombow Markers. 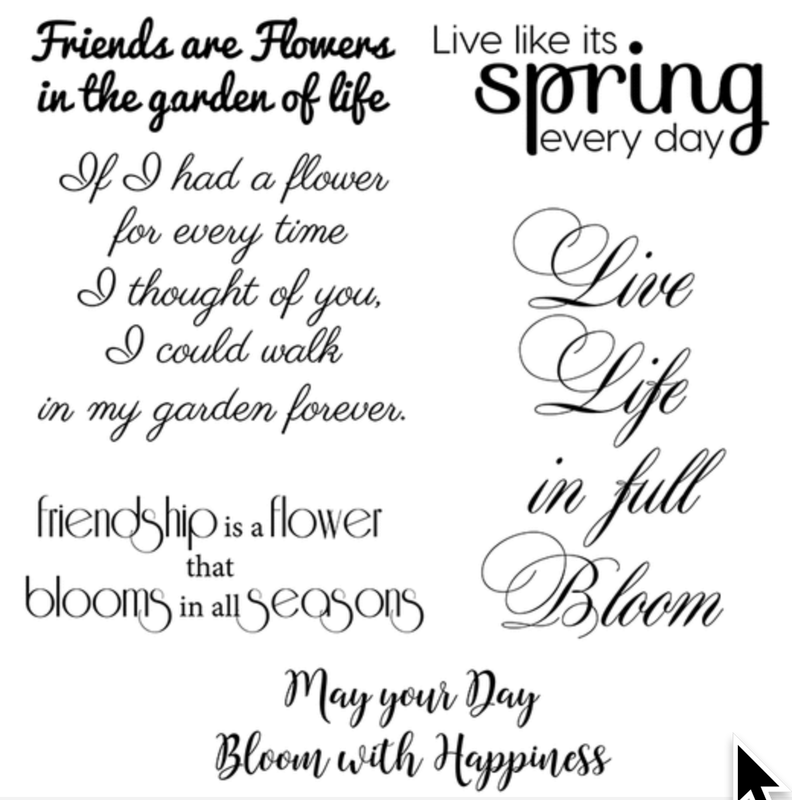 Don't forget, these awesome stamps are on sale only until February 8th! So get your order in and save that 15%! And 10% off all other products with the code "TJ10Ro". 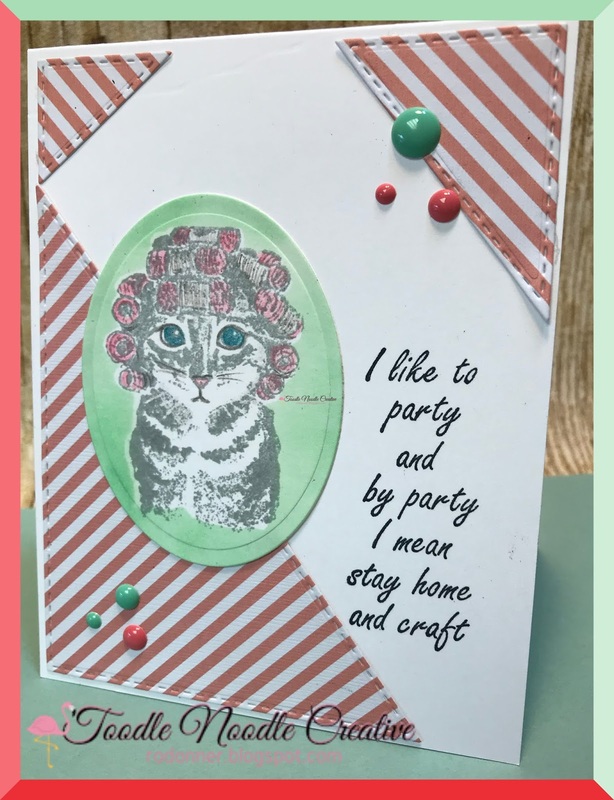 Hope you enjoyed my projects. The next stop on your hop is the creative Stephanie Severin.